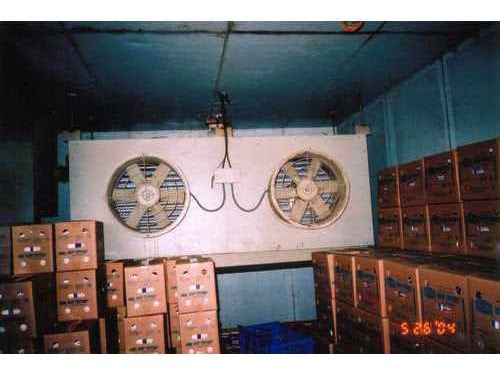 Industrial cooling or chilling plants are necessary for the maintenance of food and dairy products. Maintenance of food and dairy products is important as their manufacturing. Refrigeration is necessary for beverage industry, juice processing and milk products preservation. All the manufacturing industries are looking forward to reduce energy, power, and heat and they want to increase product yield. 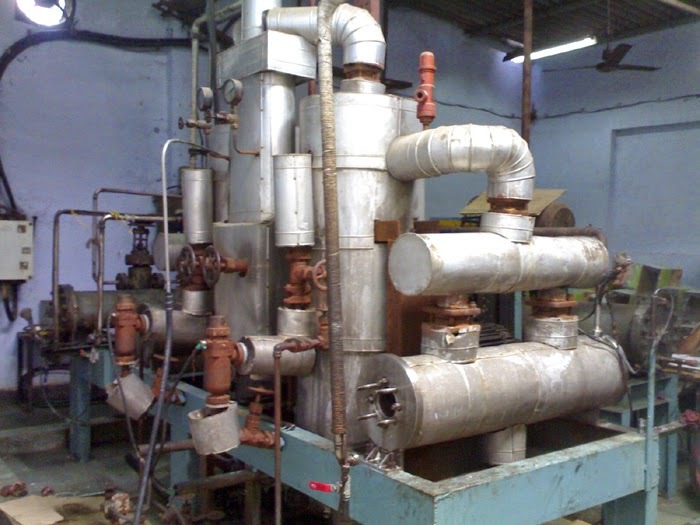 Chethan Food Engineering Team is one of the leading manufacturer of food processing plants. 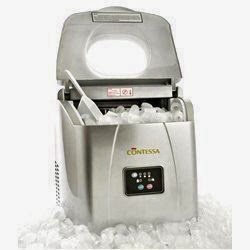 We provide highly advanced technique for refrigeration of food and chilling. Our plants are composed of durable materials and efficient in performance. We always increase the performance of the system decreasing the cost. The different types of refrigeration process include cold storages, process cooling, water chilling etc. 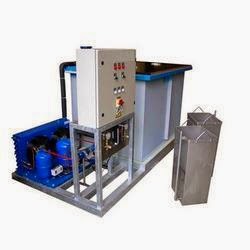 Chilled water plant is used for cooling the brewery products, juice and milk products etc. They use 40% less power than traditional chilled water plant. 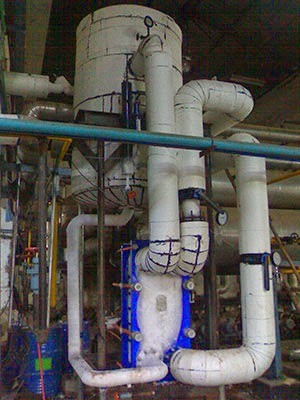 It is a heat recovery system and used for cooling in brewery and dairy industry. It is installed for 50 TR to 1000 TR capacity of refrigeration plants. It use ammonia and works with very less heat. It is very advanced refrigeration system and can be used in concrete water batch cooling, extrusion water bath cooling, lasers CNC Lathes, injection Molding Equipment, sputtering systems, vacuum systems, turbo molecular pumps etc. 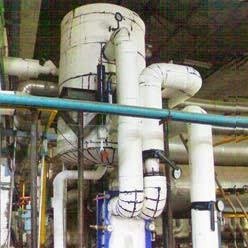 It is used for cooling of milk in dairy plant and circulating cold water from the ice bank storage tank. It reduces temperature in refrigerated areas. 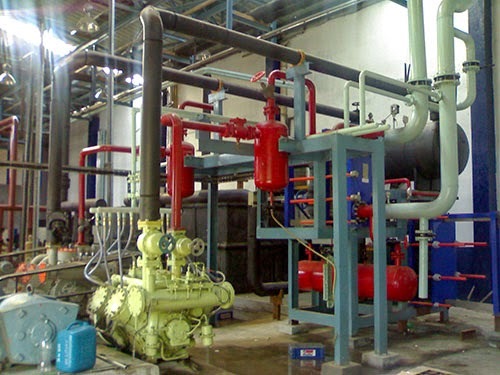 Modern block ice making plant works with latest technology to provide the best and reliable service to our customers. These plants are manufactured using durable range of materials and rigid construction. 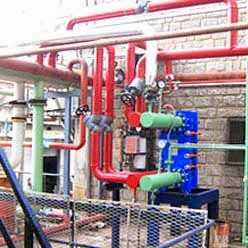 Modern block ice making plants are easy to operate and work continuously. They can perform over a long period with high efficiency. The machine efficiently performs various functions such as cone baking, cone ejecting, ice cream churning etc. They manufacture, supply and export ammonia/freon based ice bank systems. These systems are essential in dairies, water/brine chilling plants and cold stores. The ice bank tank system that we manufacture are highly durable, dimensionally accurate and operationally effective. They are efficient enough to meet the application needs of our customers.